Now’s the time to start reading a new author! A fun for all ages new ssries of modern day magic and adventure. If you loved Miss Peregrine’s Home for Peculiar Childre, and books by J.K. Rowling and Rick Riordan, you’ll love The Complications of Being Lucy. Gus lives in western New York with his amazing wife and five four legged children. He decided he wanted to be a writer when he realized that he could never be a spy as good as Timothy Dalton’s Bond and that Hired Sword was not part of any growth industry. When he is not semi-busy writing, he spends his time pretending he knows what he is doing at a nine-to-five job and the rest of it complaining that it is taking way too long for them to start showing new episodes of his favorite cartoons. If you’re bored, or just a creeper, you can check out the insanity that doesn’t make it into his books on his social media outlets. Find out what Gus says when asked the difficult question: “What is your favorite part of the story?” Click Here! Gus was asked a slew of questions during an in-depth interview with Rukia. Here is Q & A from that interview. A: Honestly, write something else. Anything at all. You can’t get truly blocked unless you stop completely. Sure the story you have been focusing on for months suddenly stalls. No need to fear. Just prime the pump of creativity with some other ideas. Do the paint chip trick (look it up on Pinterest). Look online for story prompts(also Pinterest). Take your characters and put them in strange and unusual scenarios that would never come up in the world you created for them. Write something off the wall like a race of people that aren’t carbon based but cocoa based (I call them Fudgelians). If all else fails do some dishes. That always works for me. Don’t believe me? Come to my house and wash them. You’ll see. A Rafflecopter Giveaway & Name The Character competition! 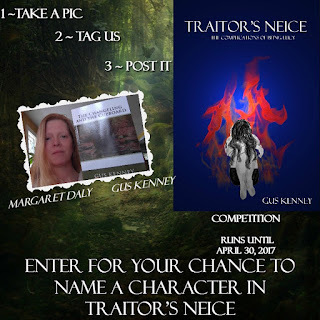 Author Gus Kenney is offering a chance to name one of the characters for Traitor’s Neice: Book 3 in The Complications of Being Lucy Series! 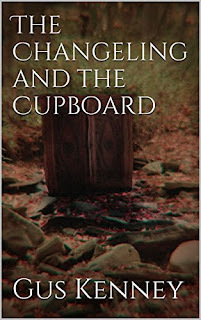 Get book 1(The Changeling And The Cupboard), snap a pic of you with the book like the one above(if it’s an eBook open it on your ereader device), tag us (Gus Kenney / Margaret Daly) and post your picture! That’s it! The winner will be announced on Facebook on The Complications Of Being Lucy Page! Now’s the time to get your copies of these books, each priced at $0.99c/$0.99p. Don’t miss this opportunity to not only read the next hit series, but to be a part of the story yourself! 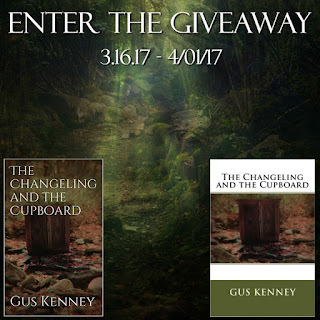 This entry was posted in author interview, Book Tour, fantasy, fiction, giveaway, mamabear, Rukia Publishing, young adult and tagged fantasy, Gus Kenney, series, The Complications of Being Lucy on March 25, 2017 by britbear. Today’s Spotlight: Bad Medicine by Red L. Jameson! Now Available for pre-order at $0.99 for a limited time on Amazon, Nook, iBooks, Kobo, and ARe. Hello! Thank you for this opportunity to talk about my newest release Bad Medicine, Book 4 of the Wild Love Series, featured in the Coming in Hot Anthology! I’m so excited to share more about this book, the anthology, and even titbits about myself! Bad Medicine is Book 4 of the Wild Love Series, which, although it is a series, each book is a stand-alone. I can write pretty quickly and wrote it in about three weeks. However, it’s the editing that always takes the longest with my own revisions, the back-and-forth between a beloved critique buddy of mine then the back-and-forth between my editor and me, polishing, moving on to my proofer, and polishing some more. My editing process takes anywhere between a month to two months. Oh, and the title…Hee-hee! I asked the other members of the anthology what they thought and we all agreed to Bad Medicine! Hmm, where to start? Well, I was born in Montana, but as soon as I turned eighteen I wanted to move away, so I did. I’ve lived in a lot of places during my early twenties, mostly in the South. But something kept calling me back home. Eventually, I moved back to Montana to be closer to family, met a special fella, and, well, the rest is history as they say. I love learning and have tried to continue my education with now one Master’s Degree in US Military history and several certificates—including fitness instructing to grammar to coding to you name it. But my best teacher of all is my thirteen-year-old son, wise beyond his years. I’m the luckiest mom in the world! Romance and almost anything non-fiction. Being a good mother. I want to be a good partner, friend, sister and writer, but every day I try so hard to be a good mom to my wonderful boy. I like reading, hiking, taking pictures on my hikes, cooking, baking, playing games with the fam…gosh, so much! There’s no shortage of fun things to do. Nurse Ian Ryder and Dr. Asha Whitetail make the deal of a lifetime. She wants to get rid of her V-card; he wants her heart. Who will win? This entry was posted in adult, author interview, Book Tour, Contemporary, fantasy, fiction, giveaway, mamabear, paranormal, romance, Rukia Publishing and tagged adult, fiction, paranormal, romance on August 3, 2016 by britbear. Please join Britbear’s Book Reviews in welcoming Christine Grey, author of Breathe and the soon to be released Whisper, with an interview in today’s author spotlight. Dearra comes into possession of the magical Sword of Cyrus just as the evil Breken attack her island home. Though her people succeed in driving their enemy back to the sea, one of the invaders remains behind, left for dead by his cruel kin. Now, Dearra doesn’t know what to be more surprised by, the fact that her sword can speak to her, or that it has imperiously informed her that the handsome Breken warrior is her destiny. The two are bound together by a chain of events that was set into motion a thousand years earlier, and everything they thought they knew about themselves, their history, and their future is about to change. Buy Breathe by Christine Grey on Amazon. Hi, Christine. Your genre is sort of young/new adult fantasy romance. What draws you to write in this genre? I think it’s that anything can happen. Nothing is out of bounds. I love that I can create whole new worlds for people, ones where they can experience and feel things that they can’t in the real world. I absolutely love your characters and the dynamics between them, especially the Carly/Daniel romance. Where did your characters (Dearra, Darius, Carly, Daniel, etc.) come from? What is your inspiration for them? That’s a great question! I wish I had a great answer. I never consciously decided to create characters to behave a certain way. As I wrote, their personalities came through.The story came to me in small pieces. I just sat down one day about eight years ago and started to type. Dearra is such a real and flawed heroine. She has so much love to give, and a spirit that just won’t quit, but she is headstrong and hot-tempered as well. It’s funny that you should comment on the romance between Carly and Daniel. When I was writing the story, I literally stopped typing, stared at my keyboard, and shouted out loud, “No way!” That relationship was such a surprise to me. My husband and I still laugh about it. Though I’ve only read Breathe and I’m partially through Whisper, you have impressed me with your overall vision for the series. Where did your story come from? How did you plan such an epic? Did you always know it would be a series? As I mentioned earlier, the story came to me in pieces. The main piece has to do with Brin, Dearra’s sword. I can’t go into that too much, or I will spoil the story for folks. I would see the story in my head and try to write what I saw. Sometimes I would get it wrong, and go back and tear it apart again and again until the words matched the vision in my head. Originally, I saw the story as a three book series, but then the larger picture came together and I could see that the story was never going to be complete after the first three books. That is the impetus, but it will be the next generation of children that bring everything to its final resolution. Then, I see the seventh book as a stand alone about what came before. You will get to see the beginning of the story a thousand years earlier. Seven books! Your vision amazes me again. You are a very busy woman, as your Facebook posts attest. How do you find the time to write? What might an average day look like for you? I don’t think there is an average day. We have five children in the house and two grown children. Four of our kiddos are foster children that we are trying to adopt, so there are lots of therapy appointments, social workers, court dates, and on and on and on. We also have three dogs and two cats, you know, just so we don’t get bored. I write whenever I can get a minute to myself. My husband is amazing and takes on as much as he can to allow me time to work. Even with that, it’s not unusual to have children come looking for mom three or for times in one paragraph. I recently went part-time at work, and that has allowed me some hours during the day to dedicate to writing. Speaking of writing time, describe your writing process. What do you do in the time you set aside for writing? My music is a must! I have a pair of really good headphones that allow me to pipe in my mood music. Don’t laugh! There’s nothing like the sorrowful sound of bagpipes to write a funeral scene (not that I’m saying there are any in this book). I have been known to find a song that really brings out certain feelings and play it over and over while I work. I don’t usually tell people what I listen to because it is so personal, but I will break with tradition and share a little with you. I listen to Celtic Woman’s The Voice, Ed Sheeran’s I See Fire, Annie Lennox’s Into the West (wow, that one is sad), and anytime I write about the fairies in book two, I like The Mediaeval Baebes. If you could pick a published author to be your mentor, who would s/he be and why? There are many author’s that I love, but I don’t think I would ever choose just one to mentor me. I am part of an online Facebook group called Clean Indie Reads, and they are all my mentors. There isn’t a day that goes by that I don’t learn something new. I think choosing a single mentor, no matter how amazing, would be like choosing to listen to only one instrument from a symphony. Beautiful, sure, but there would be no depth. What kind of books do you like to read? Which books do you count among your favourites and why? I like fantasy and historical romance, but I can do without the heaving bosoms and ripping bodices. I read some of that because it’s mind candy, but I skip over the parts that I find off-putting. I enjoy some horror, but nothing too graphic.The Stand by Stephen King is wonderful. It is an epic battle between good and evil and incorporates God without beating you over the head with it. Watership Down by Richard Adams. I mean come on! Rabbits as the heroes! Little Women by Louisa May Alcott. I always cry when Beth dies. A book that can make me feel something like that is high on my list. Definitely, The Lord of the Rings by J.R.R. Tolkien. He creates such complex characters, although, I find his battle scenes tedious. How long have you been writing? Tell us about the moment you first knew you wanted to be a writer. I started writing when I was a child. It was mostly poetry. My grandparents saved everything I wrote and proclaimed it all gold. Aren’t grandparents wonderful? I tried to write a book about ten years ago. It was one of those bodice-ripping romances, and it was horrendous. I think I burned it. When I started this book eight years ago, I had no idea where it would lead, I just knew I had to write it. What’s next for Christine Grey, author? Tell us a bit about your next project. As you know, Whisper is in editing, and I am very excited to get that ready for distribution. I hope to have it available in February or March. I am currently writing Echo, which is the third book in the series. Book four has already started poking me as well, and I have been taking copious notes in anticipation of that project. Is there anything you’ve always wanted to be asked in an interview but weren’t asked here? Please ask and answer the question for your readers. Do you have a favorite quote that means something special to you as a writer? This quote sums everything up for me, and I can’t wait to see where the road takes me next! Christine Grey lives in Wisconsin with her husband, Dan, and their seven children, three dogs, and two cats. With a family like that, she knows how important it is to escape from reality from time to time! She and her husband have grown their family through foster care adoption and are advocates for helping children find the permanency and support they all deserve. When she isn’t busy chasing children, running a household, or savoring a hot cup of tea, Christine spends her free time creating worlds of magic, romance, and humor. Here’s how readers can learn more about Christine and her work. This entry was posted in Adventure, author interview, fantasy, fiction, mamabear, romance, young adult and tagged Breathe, Christine Grey, Clean Indie Read, fantasy, interview, Whisper on December 26, 2015 by britbear. 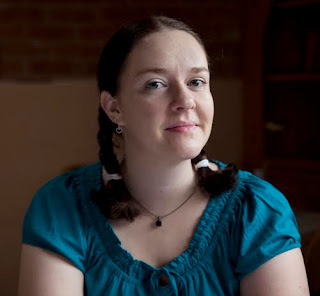 Britbear’s Book Reviews is pleased to welcome author Melanie Brosowski with an interview in today’s author spotlight. Heath Arlington lives with his father and his employees on a ranch in Montana. He is a lone wolf, who likes to be alone in nature–until Cam hires him. The new cowboy constantly draws his attention, and Heath is interested in him more than he wants to admit at first. But when misfortune opens Heath’s eyes and he gets involved in an affair, Heath must question if Cam is the right man for him. Buy Rough Ride on Amazon. Your website says you write gay romance novels. Tell me a bit about your novels. Why write in this genre? Rough Ride – Rough Ride to Happiness (Rauer Ritt ins Glück) is my first gay romance novel and was recently released. It emerged from a small fan fiction story. Whether I am establishing myself in this genre remains to be seen. I’m still testing it out. The actual genres in which I write are western and science fiction. I am an author in the Ad Astra series and I’ve also written a historical novel set in Ireland and America. To date I have published more than 20 short stories and poems. Your resume (vita) says you have been chief editor of Star Trek and the SF newsletter Incoming Message. What do those jobs entail? Incoming Message is the monthly newsletter of www.trekzone.de. The TrekZone Network is a publication of the science fiction series Star Trek and related topics dedicated to the genre and produced by fans in a volunteer capacity. As chief editor, I am responsible for collecting various articles, as well as compiling the newsletter itself. I connected with you over your Stingray graphic novel. What made you try a graphic novel instead of a traditional one? This was originally only a little experiment, a jump from one Ray image with one of his quotes to multiple images with a little bit of dialogue. Unfortunately, my English is not good enough to write a whole Stingray novel, though I have written some smaller, fan fiction Stingray stories in German. Like you, I’m a fan of Nick Mancuso and Stingray from the time it was first broadcast. Why choose an 80s television show as your content? Why Stingray? That is hard to say. I think I liked it because it is not made ​​according to a particular formula. It’s not like MacGyver or The A-Team, where each episode has a happy ending. I especially like the mystery behind Ray, and the profound nature of the character and the series. I especially like the idea of “favours for favours”. Your resume talks about books that have moved you. What is it about those books that interests you? Is it the author’s style, the content or the genre? Which of the three is most important to you when reading and why? For a book to make a lasting impression on me, I have to like the style of writing. The language must also be versatile. For me, only a very few authors have managed to play with the language to paint pictures and tell the reader a good story. I will read stories regardless of the genre, whether the story is good or interesting, but they do not appeal to me when the writing is bad. In that case, I’ll put the book down and not read until the end. A book that really impressed me was From Breathing Underwater (Vom Atmen Unter Wasser). In that book, “The Miners were a normal family, until Sarah, their sixteen year old daughter, is murdered one evening on the way home. Now, one year later, the trial is over and the perpetrators have been convicted. But what happens to those who fall behind, and who cannot just go on with their lives?” It’s the look at the details, the nuances, the things that make us human, that moves me and carries me away. Rough Ride – Rough Ride to Happiness. It was a challenge to write this book, to write about the still very sensitive topic homosexuality. To tell a good and interesting story but also to show the readers the problems. What’s next on your writing agenda? Can you tell me a bit about your next project? I have two projects currently. One is a new gay romance novel. The other is a new science fiction novel in the Rex Corda series by Mohlberg Publishing. I am also planning a small Stingray fan site in English. What else would you like to talk about, something that wasn’t included in this interview? I would like to thank Nick Mancuso. It is unusual that an actor would keep in such close contact with his fans the way he has. This entry was posted in adult, author interview, fiction, historic fiction, LGBTQ, mamabear, romance and tagged cowboy, fiction, gay romance, LGBTQ, Melanie Brosowski, romance, Rough Ride, Stingray, western on September 26, 2015 by britbear. Britbear’s Book Reviews welcomes Kirby Howell to today’s author spotlight with an author interview. Buy Autumn in the City of Angels and Autumn in the Dark Meadows at Amazon. You are my first set of co-writers writing under a single pen-name. What’s your writing process like? Open communication is the key when you have two people. We like to joke that we have to be “on the same page” figuratively, but definitely not literally! We usually spend a few weeks breaking the story, and after we’ve got a hold on the characters and the story we want to tell, we write an outline together, and try to make sure any tricky areas are well fleshed out. Other areas are left thinner to allow for the individual writer’s creative process. Then we divvy out sections. Though we’re the best of friends, we have very different personalities, so usually the parts that are calling to one of us to write isn’t calling to the other, so we’ve never had a problem dividing up the scenes to write. (Dana usually takes the scenes with heavy dialogue or politically driven scenes. Jessica enjoys writing romantic stuff, or the scenes with lots of internal thinking.) So we go away and write our sections, and then once we’re feeling good about what we have, we swap! Then we make notes and trade back. This allows the first person to take one more stab at their scenes before the other person begins their rewrites… which is the next phase. After we’ve both taken passes on each other’s work and cleaned up any errors we find, we start a beta process, and get notes from a host of readers. From there, we divvy up again, and the re-write/swapping process starts all over! So basically we end up reading and re-writing each other a lot. But we have constant open communication during this process so that there aren’t any hurt feelings, and so that we’re both comfortable with any changes in the next phase. It’s a dance that breaks up most partnerships, but we both firmly believe that having each person’s input on every page makes the work stronger…and we’ve been writing this way together for 16 years. The synergy between you sounds amazing. I read that both of you have degrees in Film and Scriptwriting. Why did you make the transition to writing fiction novels? Most screenwriters are born of frustrated novelists, so there’s a lot of crossover between these worlds. The creative process, while not the medium, is also the same. We’d always had the pipe dream of becoming novelists in the backs of our mind, but for several years, we were focused on the more immediate goal of TV writing. Then, during the recession, when over half of Hollywood was out of work, we found ourselves with more time than usual to write. We’d had an idea that felt too big to be a pilot script or a feature script. Jessica suggested we try our hand at prose, and from that the first Autumn novel was born. I’ve often thought of marketing my novels as a screenplay to get the story out there, but never given it a try. Which of the two forms of writing do you enjoy most and why? We enjoy both in their own ways. With scripts, you get the supreme pleasure of watching other artists interpret your ideas… actors, directors, editors, etc… but with a novel, it’s very different. It’s a direct conduit to your audience. So everything has to come from you and “live on the page” as they say. There won’t be actors coming in to bring words to life or editors to help pacing, etc… That’s intimidating, knowing that it all rests on your shoulders, but it’s also very rewarding when you feel like you’ve done your job. So for now, we’d probably have to pick the novel world. Let’s talk a bit about your novels. What is your inspiration behind your Autumn Winters series? That’s a tricky question. The seed of the idea came from one of Jessica’s dreams. But the inspiration for what it became? We’re not sure there’s a simple answer to that. Maybe it had to do with all of the media in our lives, be it novels we’ve read, and movies and TV shows that we’d consumed that informed what kind of stories we wanted to tell. Or maybe it was something within us the entire time, influenced by our close friends and family around us and our experiences as close friends for the past decade and a half. Twitter describes the Autumn Winters series as YA Sci Fi Romance. What draws you to these genres? We’ve always liked a bit of the fantastical, be it sci fi or fantasy. Dana grew up reading as much as she could get her hands on in that genre. Jessica enjoyed the fantasy genre when she was younger, but got the sci fi bug in college when she met Dana. And we realized that writing within this genre was just more fun for us! As far as Young Adult goes… we genuinely love writing for teens. It was an important time for us as young readers, and we love the fact that there’s even more YA out there now and that it isn’t perceived as “nerdy” the way it was when we were teens. And if there’s anything we can do to contribute to that, we’re all in! We also love trying to sneak in some real science, or classic book recommendations in our novels in the hopes that they might spark an interest in our readers in other areas that we feel passionate about. And finally, why romance? Why not! We love mixing genres, and the heightened emotions derived from a romance plot only helps readers connect with what they’re reading. And, besides, a little romance is fun to read! Your Amazon bio says you work in television. Describe what you do in the television industry. Well, between us both, we’ve held a lot of jobs on a number of different projects over the years, some you may have heard of and others you probably wouldn’t have! They say that long term employment in Hollywood is 6 months (for one project). As projects wrap, you move on to the next gig. So you tend to rack up quite a list of projects the longer you stay in the business. Instead of listing all the shows individually, how about we tell you where we began and where we are now? Dana started out as a writers’ assistant on Desperate Housewives and Jessica used to work in casting for The Biggest Loser. Currently, Dana’s a producer on a show for Discovery ID and Jessica is an accountant for various TV shows. How did you decide which excerpts to share on your web page? Ah! Finally an easy question! We just put the first chapter of each book up. Easy peasy. Who are your favourite authors and what attracts you to their work? And now we’re back to the hard questions! This list could be endless. We’re both confessed book nerds and could happily spend months reading. But if we HAD to pick favorites, we suppose it’d be the following. Douglas Adams: One of Dana’s all-time favorites. She’s read every word the man has ever written. His satire about the world around us is both amazingly insightful and absolutely hysterical. He was her father’s favorite author, and over the years, it became something they shared. It doesn’t get better than Douglas Adams. Laura Ingalls Wilder: Jessica’s first memory of loving books involves Little House in the Big Woods and summer thunderstorms in Virginia. Her mom would read to her and her sister to distract them from being frightened of the thunder. She’s reread the entire Little House series probably once a year since then. Jane Austen: Another of Dana’s all-time favorites. Her stories endure the test of time. It’s been proven time and again with modern adaptations of Pride & Prejudice, Emma, etc… The themes of personal freedom vs. restriction, what a woman’s place is within society, and women being true to themselves have always resonated with her. Steven King: Jessica’s husband finally got her to read The Stand, which she’d been curious about for years, but hadn’t ever wanted to read because it was in the horror genre and “Jessica hates horror.” She listened to The Stand as an audiobook over the course of a month on her hour-long commute to work and fell in love. The characters, the extreme situations, and the fantastical elements lured her in and made her a fan instantly. She followed it up with 11/22/63, which immediately replaced The Stand as her favorite reading experience ever. We’re NEARLY done with the last book in The Autumn Series and are getting ready to throw ourselves into our next YA project: The Wayfarer, which is a story about a teenage girl running away from a bad foster situation. She stumbles through a hidden and magical passage and finds herself in a new and strange land. It’s Alice in Wonderland meets The Wizard of Oz. Is there anything else you’d like to share with the world about your writing and your books? This entry was posted in author interview, fantasy, fiction, mamabear, romance, science fiction, young adult and tagged Autumn in the City of Angels, Autumn in the Dark Meadows, Kirby Howell, romance, sci-fi, ya on August 29, 2015 by britbear. 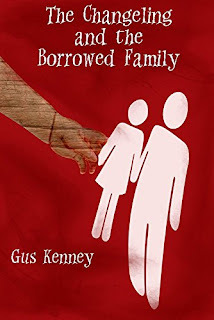 Britbear’s Book Reviews is thrilled to feature author Glenn Maynard in today’s spotlight. Carter Spence is a 26 year-old accountant out of Boston who has an out-of-body experience following a car accident that kills his parents. He views the chaos from above the scene of the accident, then passes through the tunnel and reunites with relatives who have long been dead. A woman he does not recognize approaches him and says, “Welcome, son.” Her message to him is that he needs to be aware of his true identity and should follow signs that will lead him there. She mentions mountains, but Carter is jolted back into his physical body before she can finish. After burying his parents, Carter heads west and meets a free-spirit named Brenda, whom he is drawn to on many levels. She becomes his travelling companion and leads him to Boulder, Colorado, and to an old white house of an old man named Martin. Diaries, hypnosis, and past-life regression reveal a bizarre connection between these three. Carter discovers that the truth to his identity can only be found by pursuing the answer to whether he is the reincarnation of his biological father in what is shaping up to be a love affair rekindled beyond the grave. Buy Desert Son on Amazon, Barnes and Noble, and Black Rose Writing. Buy Strapped Into an American Dream on Amazon. Welcome, Glenn. Your Amazon author page says you worked for a year as a travel correspondent. Can you talk a bit about that experience? Is there a connection between this experience and Strapped into an American Dream? After I got married, my wife and I quit our jobs, sold our cars, bought a used RV and travelled through the 48 continental states for an entire year. I needed something to write about, so I created something. I contacted a couple local newspapers about my trip and generated some interest. I then became a travel correspondent for these newspapers and published twenty articles along the way. Every two weeks throughout the year I would send off a story, and readers could follow along with these monthly updates. I published my first book, which detailed the people and places along the way in the USA, entitled Strapped Into An American Dream. Tell us a bit about Desert Son. Why choose to begin it with an out of body experience? Why choose to incorporate reincarnation in the story, too. The story begins with Carter involved in a horrific car accident that kills his parents. I chose to begin this story with an out-of-body experience because there was a significant message from a woman he did not recognize who was claiming to be his mother. She told him to follow signs to reach the truth. There is a bizarre twist in this tale when he follows signs out west to Boulder, Colorado. The story revolves around the topic of reincarnation. Carter discovers that it is up to him to find out if he is the reincarnation of his biological father. The out-of-body experience was a spin-off of the reincarnation theme since this was a paranormal novel that needed injections of paranormal. What genre do you consider Desert Son and why? This has been a paranormal novel all along, but it is being marketed as a paranormal romance because boy meets girl. It might not be the first time they met, but the book was categorized as a paranormal romance for the better marketing plan. Your webpage has links to three blogs you maintain. Why choose to maintain three separate blogs as a part of your author platform rather than combine them into one? It’s one blog, but four separate pages. I have pages for my two books, a poetry page, and a page for my life that is not book related. When I write about non-book topics that I wish to share with Facebook, then I use that page. Every once in a while I have a poem in me and use [my] Poetry page. The two different book pages…well, that’s self-explanatory. I originally had a page for my first book, but when the second child came along, I needed a place to put it. Instead of creating another blog, I created another page within the original blog. Speaking of the Poetry blog, why do you write poetry? Do you prefer writing prose novels or poetry? When I was an English major in college (UCONN) I was taking Shakespeare and other complicated poetry classes that included notes on the bottom so you knew what the hell they were talking about. I would receive cash from my parents and siblings as a poor college student, and in return I would write funny poems. My family enjoyed the poems so much that I was getting more money sent just so I would thank them poetically. Sometimes I would write poems about other things, like when my dog died, or when my grandfather passed, as a way of coping; mourning. I created a poetry blog just to have a better way to keep track of my writing and to just have more out there with my name on it. I read my poetry at large family functions now. It’s a lot of fun and people love to laugh at it (some readings are on YouTube, but writing novels takes the cake. It’s a whole different ballgame and it cannot be compared to knocking off a poem in a day or two. Writing a novel is like having a baby (I apologize in advance to all the moms out there). It certainly feels like birthing a baby sometimes, doesn’t it? Your bio says you’ve had twenty articles published. Where were they published? What were they on? In a previous question I asked if you prefer writing fiction or poetry. Now I ask if you prefer writing non-fiction to fiction? When I was traveling through the country, I was writing monthly travel articles to the Glastonbury Citizen and the Bristol Press, two local papers back home. I also wrote an article that appeared in the Sunday edition of the newspaper in Pocatello, Idaho. Readers would follow us along as I updated them monthly on the places we’d been, and the expected path ahead. I have written one non-fiction book and one fiction book, and my third book is a sequel to my fiction book, Desert Son, so therein lies the answer. I love writing fiction! Your WordPress blog has quite a few posts on social media. What are your opinions about social media with respect to building your author profile? I’m still trying to figure it out. I think all authors are in the same boat. There is no magic formula, and it’s a trial and error and see what works process. I share my blog posts with Facebook and LinkedIn. Now Facebook is set up so that you only reach about 10% of your established audience. There has to be a mixture of social media, reviews, newspaper ads detailing your speaking engagements, etc. Talk a bit about your writing process and Desert Son from start to finish. The idea for this book came after reading the book, Twenty Cases Suggestive of Reincarnation, by Ian Stevenson. This book was about the spontaneous recall of previous lives by children. I was so fascinated by these children in third world countries recalling lives of people who had died, and who had lived an unreachable distance from these kids. Researchers would then follow the kids’ claims and travel to talk to the surviving members of the deceased’s family. The claims of the children exactly portrayed the deceased, sometimes including the language they spoke, and with information that nobody other than the deceased would know. Desert Son evolved from this book. The topic of reincarnation is certainly an interesting one. What about your next project? Can you tell us a bit about that? I have written the sequel for Desert Son, and [I’m] contemplating a third and final book in the series. The sequel occurs four years later, and the paranormal [theme] continues with that very bizarre twist occurring just as it did in the first book. Is there anything else you’d like to tell your readers but that’s not included in these questions? Thanks so much for the interview, Glenn. How can readers discover more about you and you work? Glenn Maynard is the author of the books Strapped Into An American Dream and Desert Son. He has a Bachelor of Arts degree in English from the University of Connecticut, and a degree in Communications. After spending 4 years living in Denver, Colorado, he returned home to Connecticut and now resides in Wethersfield. Glenn has a 14 year-old son named Andrew. As a travel correspondent for three newspapers while exploring the United States, Canada and Mexico during his one-year journey, Glenn published a total of twenty newspaper articles. His story was captured on the NBC local news upon his return. This entry was posted in adult, author interview, BRW, fiction, mamabear, paranormal, romance and tagged paranormal, reincarnation, romance, travel on August 22, 2015 by britbear. 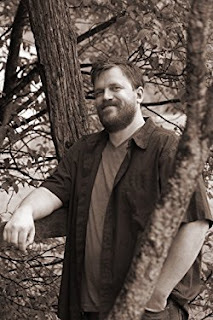 Please join Britbear’s Book Reviews in welcoming Mark Pople, author of Rogers Park, with an interview in today’s author spotlight. A shortcut led to the longest six weeks of Brian Casey’s life. A high school English teacher and self-proclaimed Alfred Hitchcock junkie from a broken home, Brian has spent his entire life in Rogers Park, the bowels of North Chicago. He longs for a Hitchcockian revenge on the father who deserted him as a child. Turning into the Farwell-Pratt alley on a bitter February afternoon, little does Brian know that the decision to take this particular shortcut will set into motion a chain of life-altering events. The first link in the chain is a trash bag thrown from a fire escape. The final link is a choice: forgive his father or watch him die. The links between – kinked and tangled, as happens when chains are kept in closets with skeletons – include addiction, F. Scott Fitzgerald, plagiarism, blackmail, and murder. Rogers Park is a novel about the long road to forgiveness and the harrowing journey one man must endure to reach this destination. Buy Rogers Park on Amazon, Barnes and Noble, and Black Rose Writing. Welcome, Mark. You have lived many places, but your bio says you only lived in Rogers Park, Chicago, for a brief amount of time. What made you choose to set your story here instead of another location, one where you’ve spent more time? There always seemed to be something lurking in Rogers Park. Some of the buildings sit only a five-foot sidewalk from the street, creating a sense of adventure for any pedestrian approaching an intersection. I admit it was probably just my overactive imagination at work, but whenever I turned one of these blind corners or stepped into a dark alley, I imagined mystery and intrigue awaiting me. Then I was struck by Rogers Park – almost literally – when I strolled through an alley and someone dropped a trash bag from a third-story fire escape into an open dumpster. From this, a story was born. Your bio also says you draw on your experience as an English teacher. Are you ever concerned about writing too much about the experience, or is the fact that you are retired (unlike myself) liberating in this respect? Actually, it’s liberating that I can leave the teaching and the headaches that go along with it to a fictional character. As far as my protagonist being a teacher, I wanted to take an ordinary guy and put him in extraordinary circumstances. Making him a high-school teacher felt perfect. There are so many educators out there. It seems they are woefully under represented in suspense novels. Rich Brown Gravy, South of the Calvary Curve…your novels have really interesting titles. How do you settle on titles for your manuscripts? Rich Brown Gravy is a short story. The title comes from the story itself as it’s told from the point-of-view of a nine-year-old boy whose mother likes to serve her guests Shepherd’s Pie with “rich brown gravy.” For my second novel, South of the Calvary Curve, I had to come up with a title in a hurry as I was about to enter the first ten pages in a contest (which I won, by the way). I had three people read these ten pages and each wrote down three possible titles. I read all of them aloud, and together we chose the best of the nine. Congratulations, Mark! Also, I like the idea of crowd sourcing a title. Besides making the protagonist of Rogers Park an English teacher, are there any similarities between you and Brian Casey? If so, what are they? If not, then why? I’ve been told by people who have read Rogers Park that I am Brian Casey. Of course I point out that he’s almost thirty years younger than me, but still they insist we’re the same person, and they’re probably right. We’re both easy-going guys who make a point of avoiding confrontation. Of course, that doesn’t work out so well for Brian. The fact that we are similar is not a mistake. I think that when writing in first-person point of view, it’s easy to become the character, or vice-versa. Also, first-person lends itself to adding an authentic voice to your character. When that voice is your own, the authenticity is even greater. On your website you say your next publication is South of the Calvary Curve. What might the blurb for this story look like? Brian Casey, after his misadventures in Rogers Park, may think he’s returned to the mundane life of a high school English teacher. But when a former student, now a stripper named Summer Solstice, asks him to help her retrieve a stolen phone, his life is again plunged into chaos. Describe the publication process. How did you find your publisher? What was the process like once you signed? It was daunting, reading over and over again how difficult – next to impossible – it would be to get my debut novel published. Still, I persisted for five months, receiving over twenty rejections before Reagan Rothe and Black Rose agreed to read my manuscript. I found Black Rose Writing on a website called “Predators and editors.” I did my research and felt completely comfortable signing with them. Since signing, the process has been smooth. Everyone at BRW has been great. How do Alfred Hitchcock and F. Scott Fitzgerald figure into the content of Rogers Park? An unusual combination, I admit. Brian Casey’s passion for Hitchcock is a way for him to vicariously add intrigue to his otherwise mundane life. Ironically, he finds himself entangled in a Hitchcockian web of plagiarism, blackmail, and murder. As for F. Scott Fitzgerald, Brian is teaching The Great Gatsby to his Advanced Placement English class. As the story of Rogers Park progresses, he comes to realize some interesting parallels between his own life and Fitzgerald’s classic novel. But it is one specific Fitzgerald quote that makes the greatest impression on Brian. From this quote, he learns an important lesson about acceptance and forgiveness. Both of these influences, Hitchcock and Fitzgerald, play a part in the dramatic closing scene of Rogers Park. Besides these authors, if you had to choose, who would you consider a writing mentor and why? The authors whose style I have tried to emulate are John Updike and Richard Russo. Ultimately, I’ve discovered that I have my own style, and while I consider these writers to be great influences, I no longer feel the need to emulate anyone. As for current mentors, I attend Roger Paulding’s weekly critique group here in Houston. Roger is the author of the Seney Chronicle series and the Jazzed series. He’s been a great mentor and I know he won’t mind the plug. You’re welcome, Roger. Speaking of style and voice, how would you describe your writing style? Writing should, in one form or another, seduce a reader. This can be accomplished through the use of a plot twist, a seductive suggestion, or even an unexpected use of words. I try to always keep my reader on his or her toes, give them something they don’t expect. As for my style, I guess I would describe it as literary and terse. These two adjectives may seem to contradict each other (see, keeping you on your toes) but I feel it works. Having studied and taught the classics, I find myself paying a great deal of attention to the structure of sentences and word choices. Still, I believe in using as few words as possible as long as every one of those words counts. Is there anything else you’d like your readers to know about you and your writing? I’m so thankful for the support and well wishes I’ve received from everyone. I hope you enjoy Rogers Park. Thanks for the interview, Mark. Mark Pople is the winner of the Houston Writers House 2014 novel contest. Born in Cambridge, England and raised in Pittsburgh, Mark’s literary sensibilities were most inspired by his brief stay in Rogers Park, a northern enclave of Chicago. He now resides in Houston. Like his novel’s protagonist, Brian Casey, Mark is no stranger to the English classroom. His years spent teaching high school English in Houston, while thankfully not as eventful as those of Brian, served to whet his appetite for written words, occasionally even those of his students. Mark is currently working on his second novel, South of the Calvary Curve. He is a member of HWH and is active on Facebook. His email is mpople6@gmail.com. This entry was posted in adult, Adventure, author interview, BRW, fiction and tagged adventure, fiction, Fitzgerald, Hitchcock, literary, Mark Pople, Rogers Park, teaching on August 15, 2015 by britbear.